Many influences converged to shape Dr. Still’s evolution: He apprenticed as a physician at his fathers side, and was a Hospital Steward and Scout Surgeon during the Civil War. He lived in relationship with the Shawnee, who actualized a deep reverence for the wisdom of nature. Other influences included Methodism, Magnetic Healing, Bone Setting, Evolution Theory, and Spiritualism. Dr. Still’s interest was to enhance nature’s own ability to heal. He realized that the human body was potentially perfect in its form and function. He studied anatomy with extreme intensity intending to learn the secrets held by nature’s design. He realized the relationship between structure and function. He saw the human body as a highly complex machine which, like any other machine, required proper alignment and lubrication for optimal functioning. By 1892, at the age of 64, Dr. Still began teaching formally. 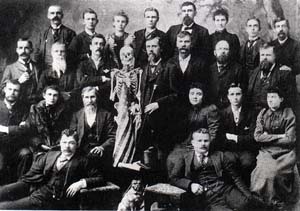 He founded the American School of Osteopathy (now the Kirksville College of Osteopathic Medicine) in Kirksville, Missouri. The first class consisted of only 22 students, both Men and Women. He believed that he could transfer his knowledge in only 3 months, but he soon discovered that the skills he had spent 20 years developing were not so easily taught. The curriculum increased to two years in duration, and included intensive study of anatomy and physiology. His initial intention was to “enhance the study of medicine, surgery, and obstetrics.” He was not in favor of using drugs, as most pharmacologic agents of the day were toxic and ineffective. As Dr. Still aged, his influence gradually diminished. As drugs became more clinically practical the use of medications was introduced into the curriculum. Today, in the US there are 54 Osteopathic Medical Schools in 32 states. They have become almost identical to conventional allopathic medical schools. They still grant the D.O. degree, and they still teach Osteopathy. Many students and physicians, unfortunately, consider the philosophy and practice of Osteopathy to be outdated and ineffective. 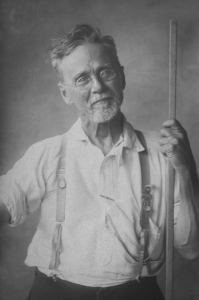 Over the years, as modern medicine has emerged, the practice of Osteopathy in the United States has become less common.